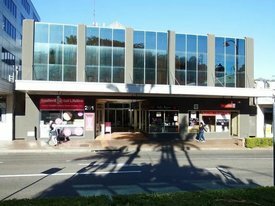 489 Commercial Real Estate and Properties in Nsw Central Coast are listed in 9 categories. We have 200 Offices for Sale & Lease , 132 Industrial Warehouses for Sale & Lease , 56 Retail Shops for Sale & Lease , 48 Hotels and Leisure for Sale & Lease , 27 Development Lands for Sale & Lease and 17 Commercial Farms for Sale & Lease . Built in 1884 this breathtaking masterpiece is located in Dowling Street, Dungog and was designed by renowned architect John Pender. As you enter through the iron gates your attention is instantly drawn to not just the sheer scale of the property but the stunning grounds that encompass it, which have been maintained to an exemplary standard. Originally built for the Commercial Banking Company of Sydney, the property has been utilised for both residential and commercial purposes since its completion. 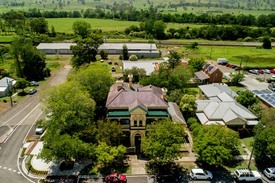 The property may be utilised as a grand residential home or mixed commercial and residential investment such as B&B, restaurant, Air BnB all STCA. The property is zoned B2 Local Centre. • 3 bedrooms in main residence • Polished floor boards throughout • Ornate ceilings • Established gardens • Air conditioned • Corner location • 1 marble and 3 cedar fireplaces throughout • First and second level verandah's • Large laundry • Mud room • Ceiling fans • Multiple living areas • Iron fencing • Garaging Commercial Tenancy • Fit out for bank • Make good clause • Lease expires 8/12/2019 with 12 month option • Rental income of approximately $32,452 pa + GST • Lunch room • Amenities STCA subject to council approval . 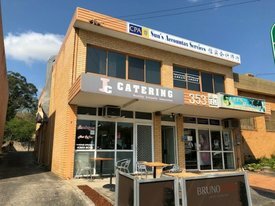 Superbly located in the Coasts&apos; premiere Business Park within close proximity to the M1 Sydney Newcastle Motorway, and within minutes of Tuggerah Railway Station, the Super Centre and Westfield Shopping Town, this fantastic front unit has a quality tenant and is close to Pennoz Cafe. 2 year lease (expires 12th March, 2020) plus option to renew for a further 2 years, tenant pays 100% of outgoings and the NET rent is $28,839.84 PA + GST. 3% or CPI increases per annum (whichever is the greater). Our reluctant vendor has decided to retire, so if you know a &apos;good thing&apos; come and inspect this brilliant investment unit TODAY! Approx. 282m2 in total with offices, great amenities and plenty of natural light. Better than the average investment by a mile! CALL NOW!! This well presented industrial property consists of both partitioned office space and factory area. The office space has Three (3) separate offices in addition to an open plan working area, carpeted and air conditioned throughout the office space. The factory area has a kitchenette, internal toilets and shower. The electric roller door is high and wide allowing for easy access. Call today to arrange an inspection!!! Situated in the poplar Kincumber industrial area next to Mitre 10. This factory has a lettable area of 175m2 and has block walls and concreate floors. Located in a well looked after complex that is fully gated and has shared amenities. Call today to arrange an inspection. This incredible opportunity has an imposing, main road frontage giving all (5) five commercial tenants huge exposure. In addition there are (4) four first floor residential suites with generous floor plans and seperate balconies plus secure, lock up garages. This &apos;once in a lifetime&apos; opportunity has income streams flowing from a 100% occupancy (and consistent history) based on the quality of building, easy and abundant car parking at the door, close proximity to Wyong Railway Station and the Sydney Newcastle M1 Motorway, plus the main CBD location in such an &apos;easy stroll position&apos; to all that Wyong has to offer! TOTAL RENTAL INCOME (approx.) $152,127.88 (per annum + GST). For sale by EXPRESSIONS of INTEREST call us, come & inspect & view your future, today! ONCE SOLD IT WILL NOT BE EASILY REPLACED!! Located within close proximity to Gosford CBD this development site is 697m2 approximately. This site has previously been approved to build 3 townhouses. 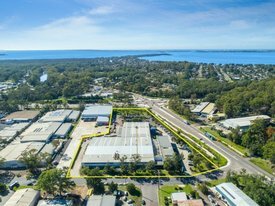 Additional features include; • Zoned R1 and has a 15.24m2 frontage ideal for development • Backing into a reserve • Great location surrendered by quality homes • Approximately 100m to the bus service • Central location just 3 minutes’ drive to Gosford CBD and train station Call Anthony on 0422375522 today to arrange an inspection! 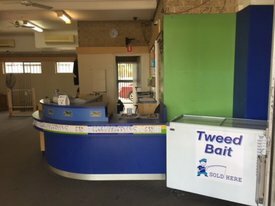 Situated in the poplar Kincumber industrial area next to Mitre 10. This factory has a lettable area of 175m2 and has block walls and concrete floors. Located in a well looked after complex that is fully gated and has shared amenities. Call today to arrange an inspection. 2 Hereford Street offers an exceptional opportunity to lease high clearance factory and warehouse space and adjoining newly refurbished office space consisting of two adjoining floors of excellent commercial area with abundant natural light. 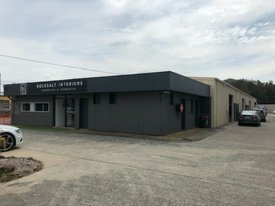 This modern commercial and industrial facility represents a unique opportunity for the astute business owner to secure a strategic position and an extremely high profile location with three street frontages amidst the geographical centre of the Central Coast. Positioned on the corner of a main arterial road (Wyong Road) and main road (Enterprise Drive) with a third frontage to Hereford Street at Berkeley Vale (access from Hereford Street). 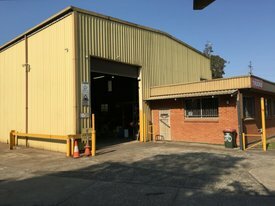 This unique location is minutes from two (2) M1 Sydney Newcastle access points, (at Tuggerah & Ourimbah) , close to the Tuggerah Railway Station and Westfield Tuggerah. Large, high exposure site of 2.1498 Ha (approx.) Erected upon the land are several office, warehouse and manufacturing buildings (GFA Industrial 5,635m2 approx.) Massive carpark of approx. 198 car spaces for staff and clients on grade Separate truck and car ingress / egress points and drive around access Gross floor area (GFA) of Office buildings, 3,111m2 (approx.) Gross floor area (GFA) of Manufacturing & Warehouse buildings, 5,635m2 (approx.) 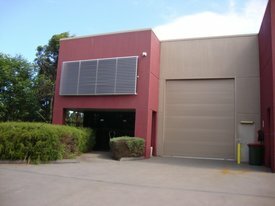 High clearance Warehouse & Manufacturing areas 2,000 AMP power supply Great access to major arterials including Wyong Road, Enterprise Drive and the Sydney Newcastle M1 Motorway Large hardstand areas available for container storage ESFR Sprinkler System Fully racked warehouse areas, up to 30 bays of varying heights and lengths. Approx 1200 1400 pallets. Land Area 2.1498 Ha (21,498m2 approximately.) Zoning 1N1 General Industrial. INCENTIVES AND GREAT VALUE RATES FOR THE RIGHT TENANT & TERMS. CALL NOW TO ARRANGE YOUR INSPECTION! 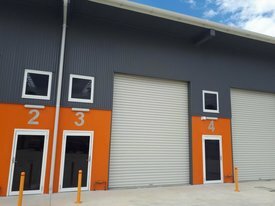 This very well designed and fitted out office space and warehouse. 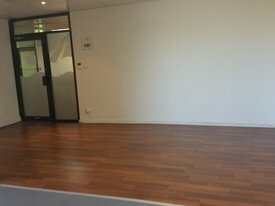 Nice air conditioned reception area with timber flooring, amenities include Male and Female toilets, shower plus kitchen/lunch room. Three good size offices upstairs, boardroom and data room with glass partitioning and ducted air conditioning. Approx. 120m2 of high clearance warehouse plus approx. 40m2 of workshop area on the warehouse floor with 3 phase power. Positioned in a nice complex with 3 allocated parking spaces. Situated down a quiet country lane and commanding an elevated position close to all amenities yet far enough away from the hustle and bustle and offering rural living at its best with stacks of privacy and potential. Beautiful, cosy 4 bedroom home, all with built ins, open plan living area with ducted air conditioning, verandah, BBQ area with amazing views, open plan kitchen with granite bench tops and 2 bathrooms. Plenty of shedding plus potential caretakers cottage. Incorporating 50 acres, currently used for cattle, large paddocks with ample water from large spring fed catchment dam, 86 meg irrigation license and underground mains. Perfectly positioned with a Northerly aspect, it is the ideal location for those who desire space and quiet country living, situated close to the new Stonewall Equestrian Complex, Central Coast Jump Club and Mangrove Mountain Pony Club. 45 minutes to Wahroonga and Minutes to local shopping centre. Providing the perfect easy care acreage to come home to enjoy. E & OE. Please note that all information herein is gathered from sources we believe to be reliable, however Capital One Real Estate cannot guarantee its accuracy and interested parties should rely on their own enquiries. All images are indicative of the property only. Rarely do tenancies become available in this centre. This is a great opportunity to establish a business in this well presented office space that has a net lettable area of 54m2 approximately. 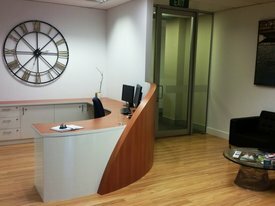 The office is fitted out with reception area and separate offices. There is one (1) car space on title and additional on street parking. 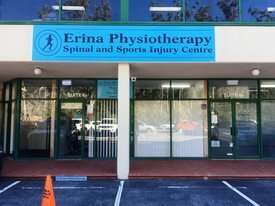 Located in the heart of Erina, 400 metres down the road from Erina Fair, and 200 metres away from busy Fountain Plaza. A very well presented space for an enjoyable working environment. Perfect for warehousing and distribution is this brand new unit approx. 108m2 on the ground floor with kitchenette and large disabled bathroom including shower. There is a storage mezzanine approx. 20m2 plus a fenced & concreted courtyard at the rear approx. 35m2 with access via a small roller door and personal access door. 3 phase power, automatic roller door and one car space are also included. Positioned at the end of a cul de sac and only a minute to the M1 Motorway (approx.) 1 hour to Sydney or Newcastle. 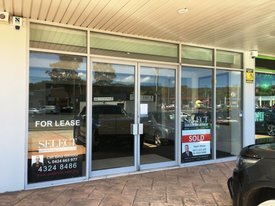 Approx 60m2 upstairs office suite located in East Gosford. Signage opportunity on Central Coast Highway offering great exposure for your business. Surrounded by other good businesses including excellent caf&aecute; downstairs. Male and Female bathrooms on both levels of the building. 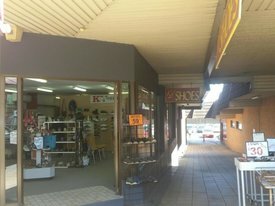 Positioned in the centre of Woy Woy this full glass front retail shop is approx. 100m2. Set up your business in the heart of town and benefit from the passing foot traffic. Woy Woy Rail is only a minute walk from this premise. Ladies and Gents bathrooms inside the shop along with kitchenette. 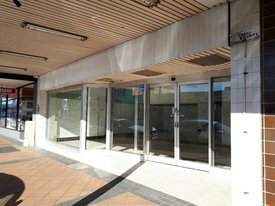 Prime retail opportunity in Wyong CBD with massive exposure to passing traffic. The shop is approximately 30m2 and ideal for a variety of uses. 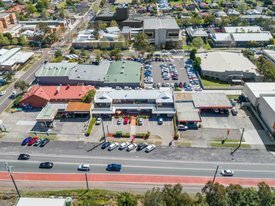 Current occupants in the complex consist of a hair dresser, podiatrist and takeaway shop, great parking and exposure to Pacific Highway. 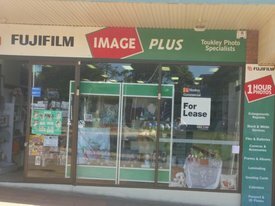 Be quick to secure this affordable retail shop!! 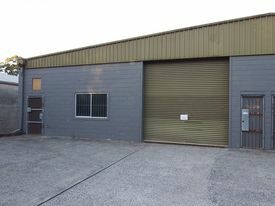 This brilliant FREEHOLD industrial property has an appealing IN1 zoning and consists of approx. 607m2 factory & quality office (with high ceiling and air conditioning!) The access is supurb in an end cul de sac position (allowing larger vehicles to turn and reverse in with ease), plus there is an abundance of concrete hardstand and parking, and room to build or add on to the existing buildings. High clearance workspace with good roller door height and natural light, plus 3 phase power, 2 showers, 2 toilets, all set in a &apos;private&apos; location. Close to the Sydney Newcastle M1 Motorway, Tuggerah & Ourimbah Railway Stations and Chittaway local shopping centre plus Westfield Shopping Centre. A MUST to inspect, and guaranteed to suit many industrial uses you CANNOT MISS THIS ONE!! Call now & have a look! !